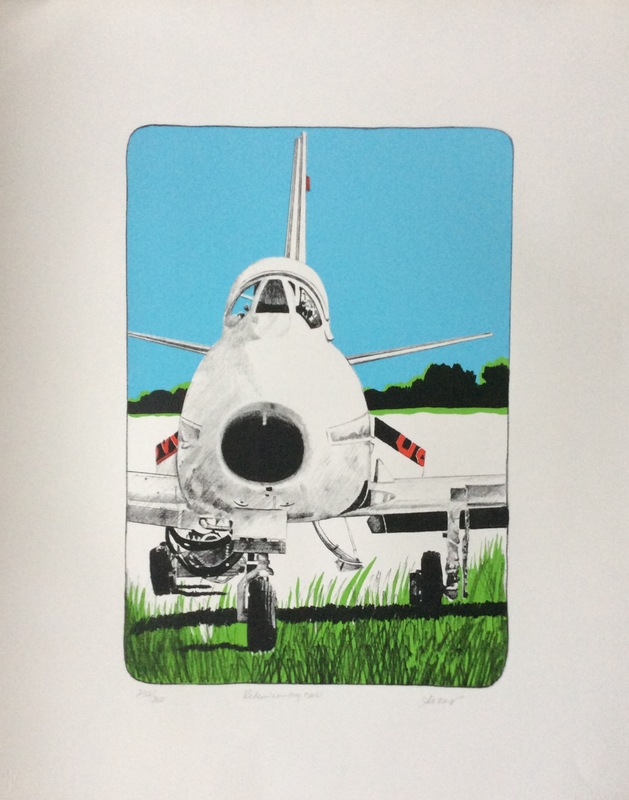 Joyce Arons (Beymer), one of NY’s talented resident artists, demonstrates a passion for planes with some of her most beautiful works evoking the romance of America’s barnstorming era of aviation. It began with a bee-like buzz overhead and a Jenny would miraculously land in some nearby cow pasture and await your pleasure. For three dollars and an ounce of courage you could don your helmet and these fabulous barnstorming pilots would fulfill your dreams. You could take your little sister too! With a Masters in Fine Arts, Ms. Arons has exhibited in galleries in New York, Philadelphia, and Baltimore and worked as an illustrator for Flying Magazine.